From time to time I like to learn, read and work with things outside of IT world and this is the reason why I have worked as a volunteer in Russia last summer or Turkey two summers ago and it is also the reason why I get books sometimes to read something about physicology, bussiness or history. I have already written about some books like Stuxnet in this blog because this book is about security but I have read others books in the last years as well like Creativity, La Corporación or Crush it! However, I would like to write this time about the last book I have read because, although it is not about network or security, I think it deserves to mention. 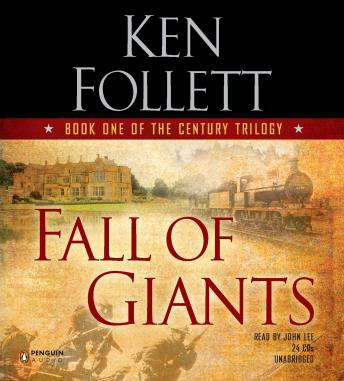 Actually, it is the century trilogy by Ken Follett that I have just finished the first one of the trilogy last week called “Fall of Giants”. 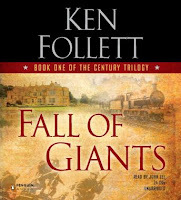 I think this historical novel is interesting if you want to know why the world, countries and people are as we know today. It is an easy to read and entertaining novel that we can learn about the first world war and the relationship between countries. With this novel we are going to understand the necessity of embassies, inteligent services, army and all of things needed to protect our country and people. One hundred years ago there was basically two alliances, one was made by Germany and Austria-Hungary and another was made by United Kingdom, France and Russia with the support of EEUU as well. If we read about the first world war we are going to find that the trigger which fired the war was the murder in Sarajavo of Franz Ferdinand who was archduke of Austria in 1914. It is amazing how a murder can decide the begining of a war like the world war one where nearly 10 millions soldiers died. After the murder, Austria attacked to Serbia with the support of Germany and accordingly United Kingdom with the support of France and Russia helped to the Serbian Kingdom with a war against the German Empire. However, this was only at the begining because more countries fought in this war like the EEUU, Italy, Belgium, Turkey, etc, etc for the four years that lasted the war. At the end, in 1918, Germany asked the armistice to sign the peace after four years of war where a lot of people died, not only in the battlefield but in the streets as well because there wasn't enough food for citizens due to the fact that there wasn't jobs and the economy of most countries was down. As a result of the armistice, in 1919 and after six months of talks between countries, more than 50 countries signed the Treaty of Versailles and it was founded the League of Nations as well. Reading the book we can realised the importance of spies for countries to get proper information about the status of enemy countries, the importance of women to work in factories because most men were fighting in the battlefield, the importance of international relationships to influence in decisions made to stop the war, the importance of communications to transmit reliable and secure information and of course the importance of the army to avoid the enemy invasion and protect their countries.